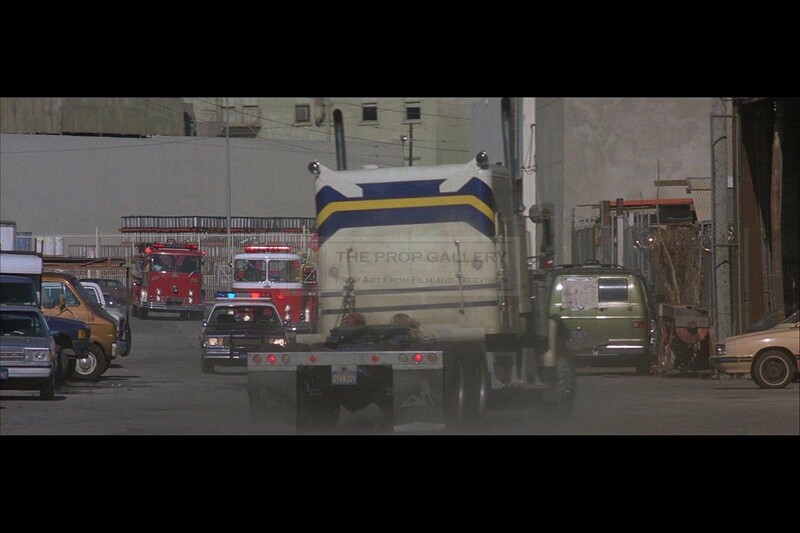 An original prop from the production of Big Trouble in Little China, the 1986 action comedy picture directed by John Carpenter. 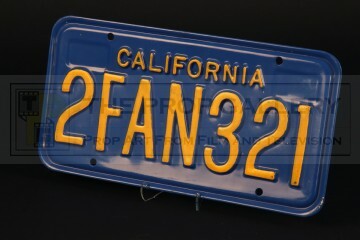 This licence plate was custom made for the production for use on the Pork Chop Express rig driven by Jack Burton (Kurt Russell). 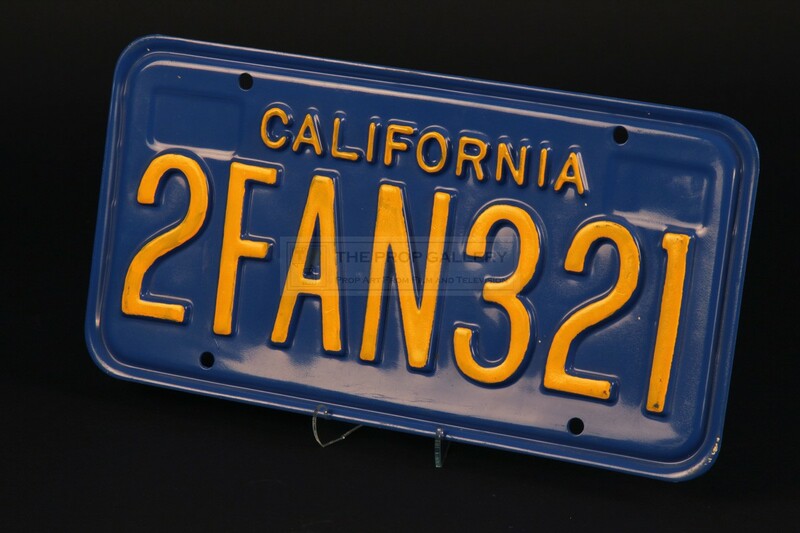 The plate is constructed from vacuum formed plastic with raised lettering hand painted in yellow and features the registration '2FAN321', four holes allow the plate to be attached to a vehicle. 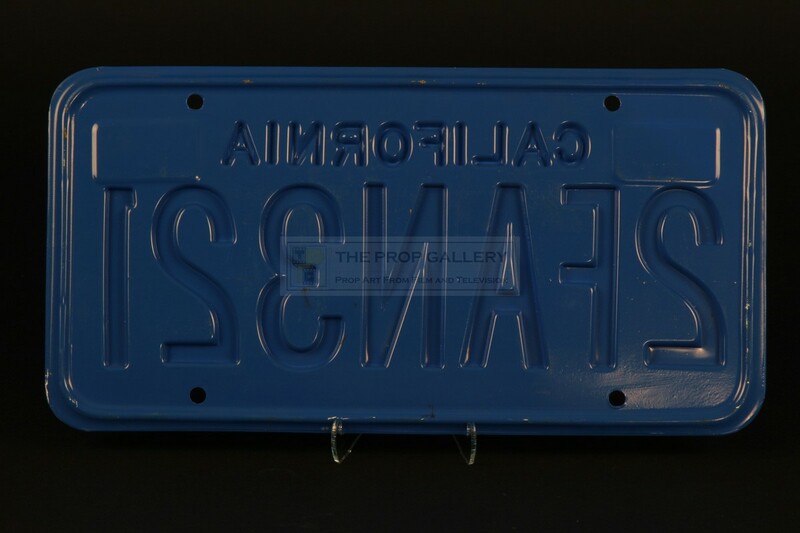 The licence plate measures approximately 11.75" x 6" and remains in excellent production used condition exhibiting some minor surface wear, very fine. 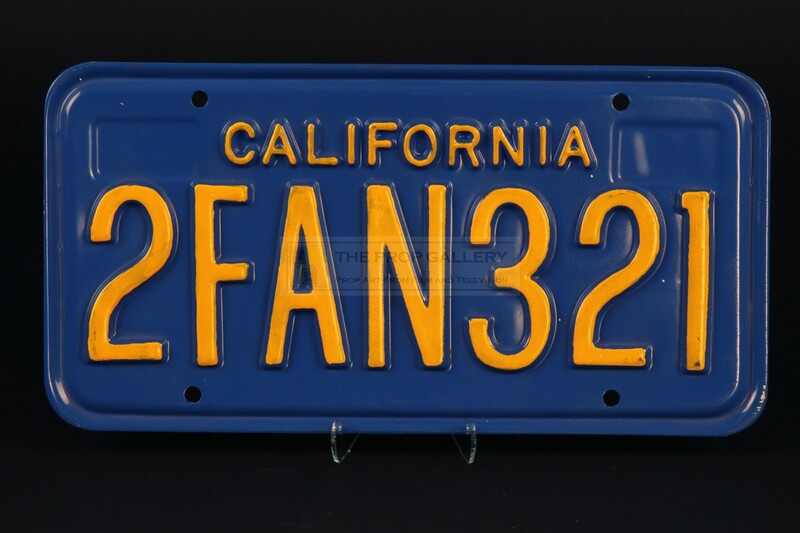 An extremely rare and highly displayable artefact from the production of this cult classic.